The foundation of a Top 100 experience is, and always will be, the golf course. Club life, however, isn't confined to birdies and bogeys. What would a round of golf be without a great 19th hole? A welcoming clubhouse? Or great snack mix at the turn? Sunningdale has golf's best old-school halfway house, and the remade Ailsa at Trump Turnberry snags best new-school halfway house honors, but quality eats abound at our Top 100 courses. Here are a few of our favorite dishes. The peanut butter, jelly and bacon sandwich at fiercely private Fishers Island is comfort food in the extreme. Hey, everything's better with bacon. 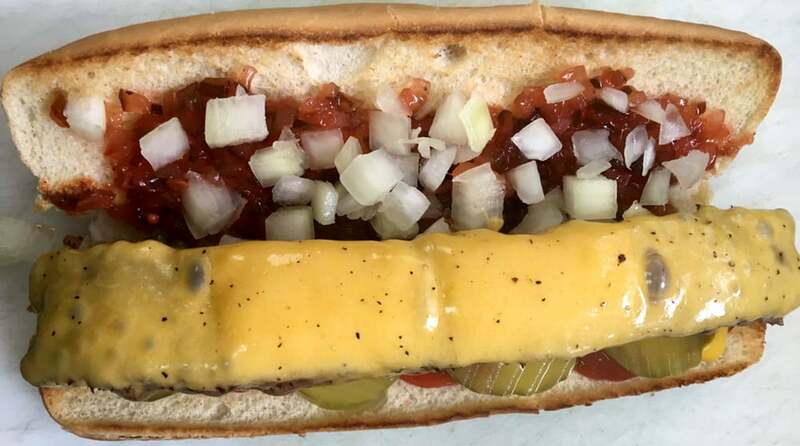 The burger dog at San Francisco's Olympic Club is just that—grilled ground beef seasoned only with salt and pepper and served in a hot dog bun. You won't find the Shack anywhere on the Streamsong website, but those who've survived the Red course's brutish front nine will likely have recuperated with a cold one—and devoured its piquant pulled-pork tacos. The lobster at Long Island's hyper-exclusive National Golf Links of America is without peer. Don your blazer and tie and feast on as many of the fresh, sweet crustaceans as you'd like. Perfection, thy name is a ham sandwich at Valderrama. Iberian ham, butter and crusty bread—so simple, so awesome. Pine Valley's snapper soup is a regional delicacy and a must-taste for fans of turtles and tradition.